Our Collapsible Cart is a unique folding utility cart. It weighs less than 50 pounds and requires no removal of parts to extend or collapse. Other folding carts are unusable and cumbersome in the collapsed position. Often, the user has to to carry these other carts when collapsed. 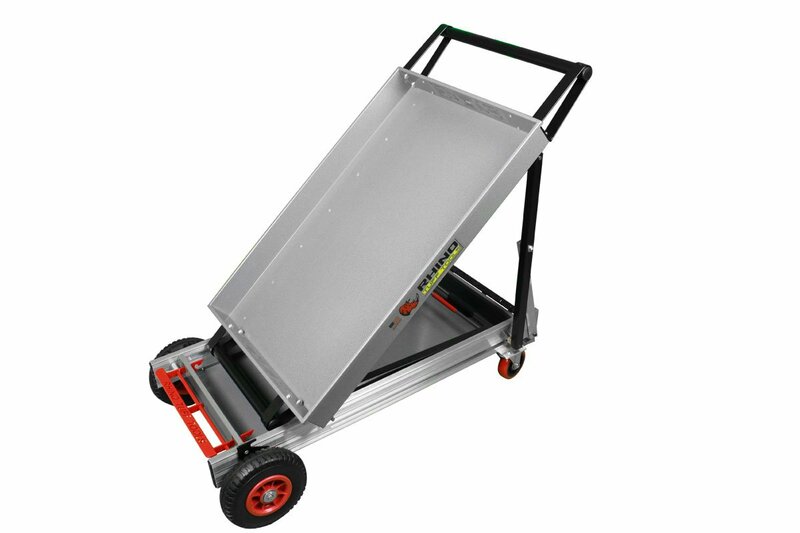 In contrast, Rhino Tuff Tools’ Collapsible Utility Cart excels as both a small hand truck in the collapsed position, and thanks to double-locking casters, provides excellent stability when used as a work platform. 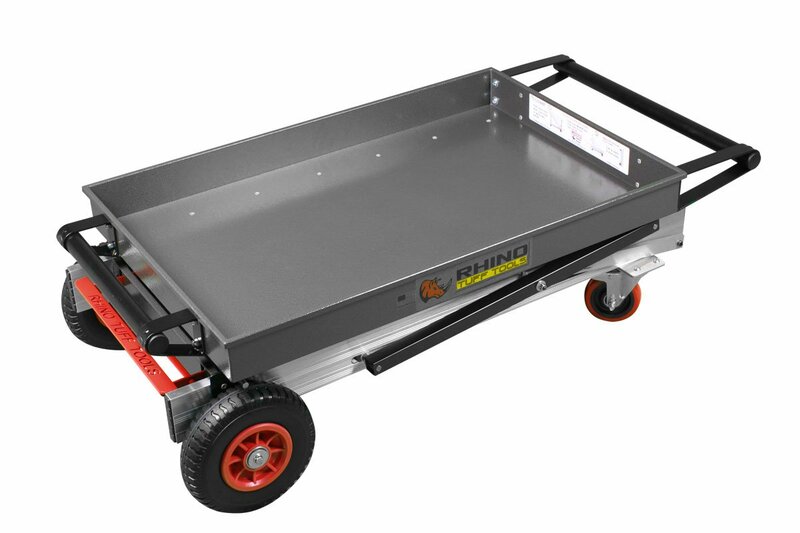 Our metal cart has a smooth operating design for extending and collapsing without any removable parts. It is extremely stable over rough terrain and as a work platform. The 8″ flat-free wheels assure you will never have a low or flat tire to slow down your work day. In the collapsed position, our cart is a sturdy hand truck that is easily wheeled to its next destination. No other cart is as versatile over all types of terrain. Our heavy-duty construction holds up to 400 pounds of your work items to save time and reduce body strain. 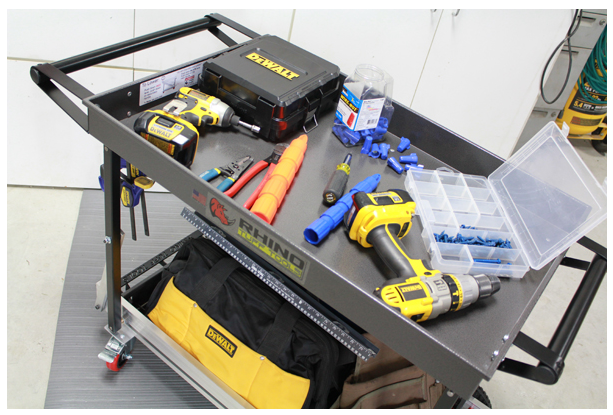 Our collapsible utility cart comes with powder coated aluminum trays that are scratch resistant and easy to clean. Every part is completely weatherproof for use anywhere! Very portable. Even fits in most car trunks! Small footprint of storage needed. Stand on end and hang on a wall or tuck into corner when not in use. Tradesmen – electricians, plumbers, landscapers, HVAC techs, etc. 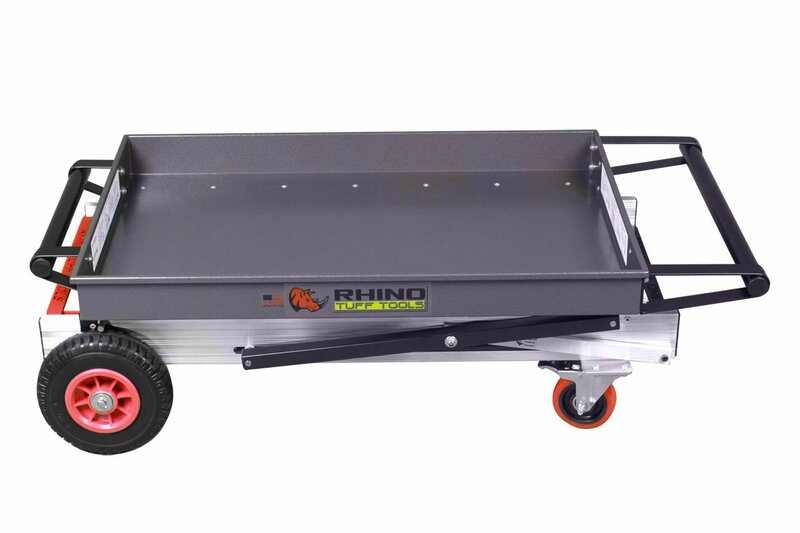 Warranty: The Rhino Tuff Tools Collapsible Cart is covered by a six month warranty on all parts against defects in workmanship and materials. Cost: $699.00 plus $75.00 shipping within the 48 contiguous United States. 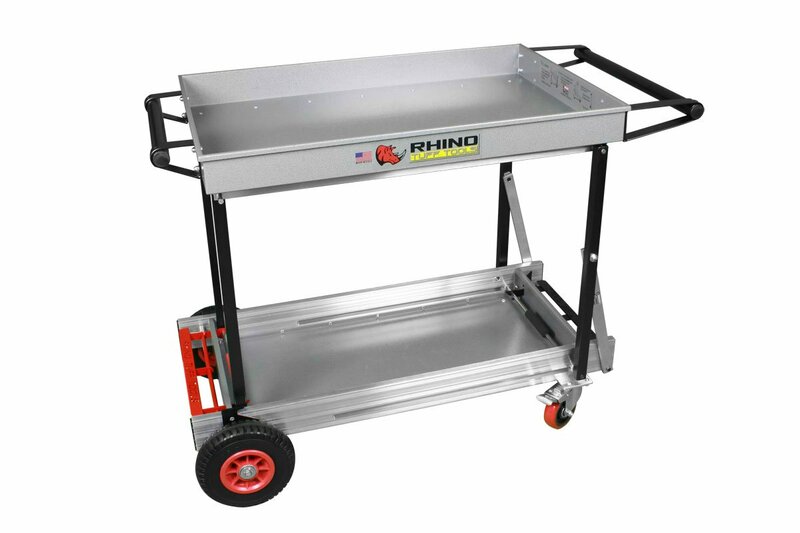 If you would like to purchase our cart through Grainger, simply call your account representative and tell them you would like to purchase the Rhino Tuff Collapsible Cart, Part#1001. We are all set up as a supplier! NEW! We have a Collapsible Cart with a SOFTER caster that rolls almost silently for use in quiet environments (hospitals, schools, hotels, etc) We made this Cart after numerous requests and our clients are loving it! Just choose “Indoor Cart” from the drop down menu below.